Free for download today is a woodland tree letter set of cut files! From inside the folder, click on one of the zip files (svg, png, jpg) to download it, as the entire folder of files cannot be downloaded at one time. Don't forget to unzip files after download! Files that are still zipped won't load in your program. 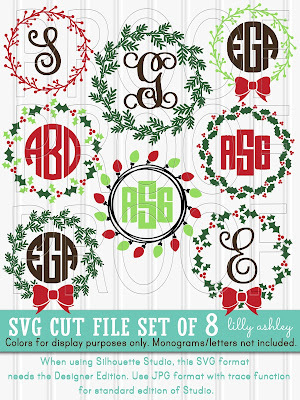 If you haven't gotten a chance to download our free Christmas cut files bundle, click the image below to head to that post! 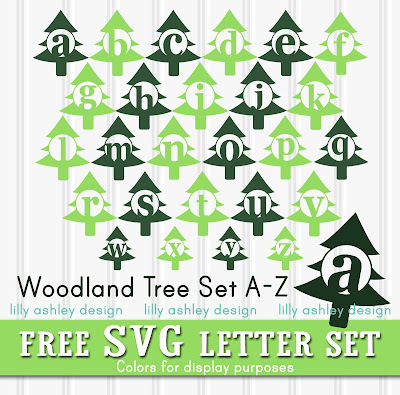 Another fun freebie Christmas set of cut files is coming up soon, so check back!! For more cut file sets, check out out our design shop! Follow along with us on Pinterest to stay updated on newly added freebies! Thanks for stopping by, check back soon!! love love your svgs! thanks for sharing!